Launched in February 2015, the Peter Underwood Centre is a partnership between the University of Tasmania and the Tasmanian Government in association with the Office of the Governor of Tasmania. The centre is the tangible expression of the Making of the Future Partnership Agreement, and was founded with the full support of the University Council. The Honourable Peter Underwood AC (Tasmania's 27th Governor) began the conversation with the University of Tasmania that led to its creation, and we are honoured that the Centre bears his name. Mrs Frances Underwood is the Patron of the Peter Underwood Centre. Our Advisory Committee was established in November 2015, under the leadership of Her Excellency Professor the Honourable Kate Warner AC, Governor of Tasmania. 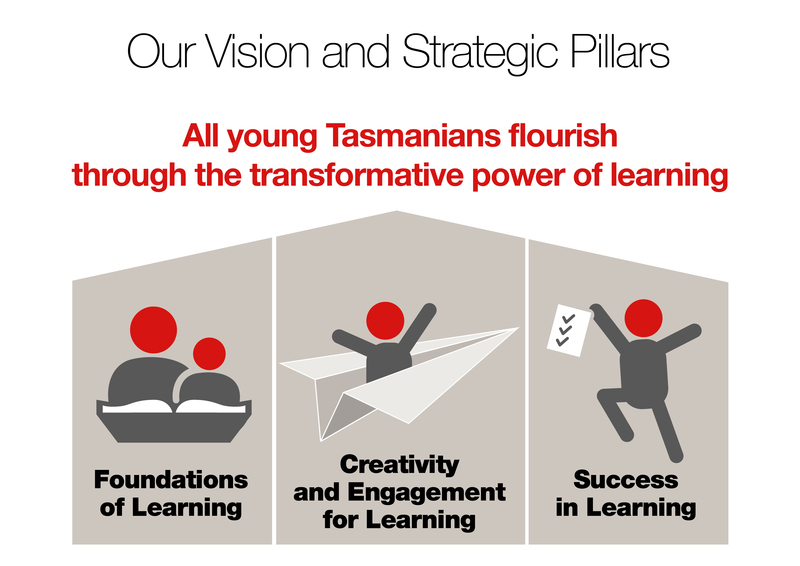 All young Tasmanians flourish through the transformative power of learning. Strong families and capable communities are partners in our shared future. Providing an authoritative voice on issues pertaining to educational attainment. Sharing of good practice, research and success stories that focus on what makes a difference to young people. Our work spans three pillars of action, each contributing to our vision. The pillars have been drawn from our interactions with international research, policy makers and practitioners. The pillars allow us to focus on key questions and initiatives that will lead to positive and sustained change in educational outcomes for children and young people.